I've been struggling my hair for a few weeks. I'm sick of my Afro and I think it's time for a change. Well, today while browsing the internet I found my new look. The chick in the picture is FRESH! I am in love with her hair. 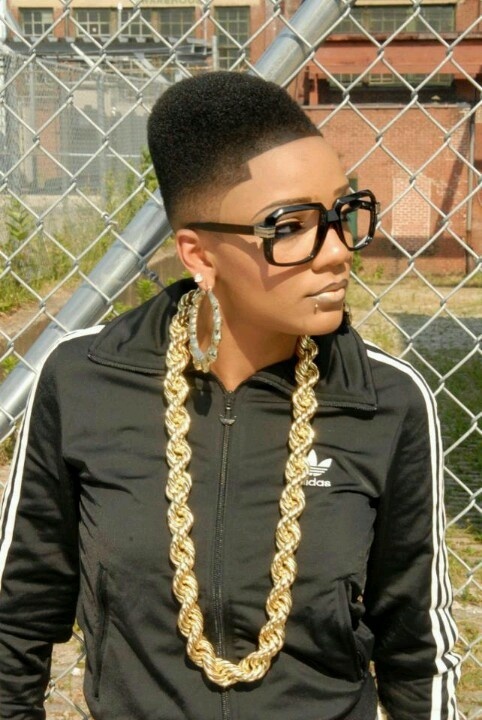 I don't want a high top fade, but I plan to tell my favorite barber to hook me up with something similar. I love her tape! This is going to be my new look.